Years ago, one could buy some 2x4s from the local lumberyard, rent a nail gun, call up a few buddies and bang out a deck over a single weekend. This might still be the case for quick-and-dirty DIYers, but for modern decks that last without the headache of upkeep, basic wood is out. There are a host of exotic woods and engineered products to build with…but also some new regulations to be aware of. But diehards and those embracing the trend of repurposing reclaimed wood see a different side. Araco conceded that modern lumber isn’t the same as it once was. “All lumber today, especially pressure-treated, is fast growth, meaning they’re cut down prematurely and it’s sap wood, so it doesn’t last as wood did fifty years ago.” It comes down to maintenance too: wood products, especially pressure treated lumber (which is the cheapest), need to be stripped and refinished every year. There are some exotic and higher-end woods like cedar and mahogany that, if the maintenance is done, can be good options in terms of looks and value. 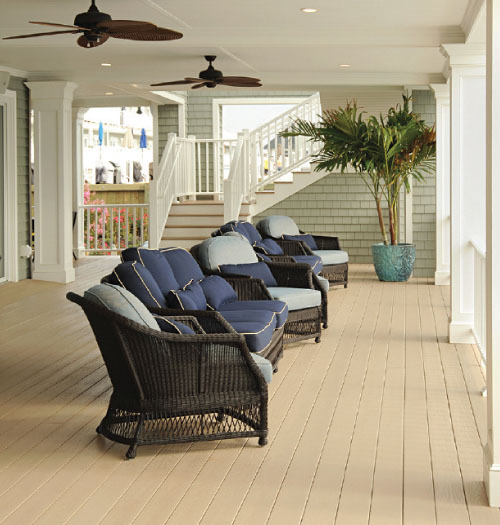 Ipe is one of the densest and most scratch-resistant materials, great for boardwalks and waterfronts. And it can be finished with oil, which gives a wood-grain appearance. “Without the oil—which a lot of people prefer—it becomes gray, similar to cedar houses in the Cape,” Araco said. But as far as adding value and longevity, manmade products are the most consistent option, though they do add significant cost. A straight PVC product, like one from Azek, is pure plastic. It doesn’t quite have the wood look, but is much more durable. At the top-tier is a composite product like those from industry leader Trex, which are made from (usually recycled) plastic and wood. 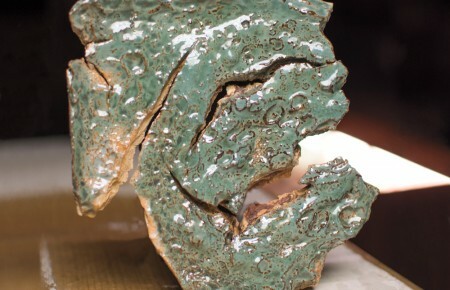 This makes for better durability, less maintenance and a better look. It’s also more sustainable. 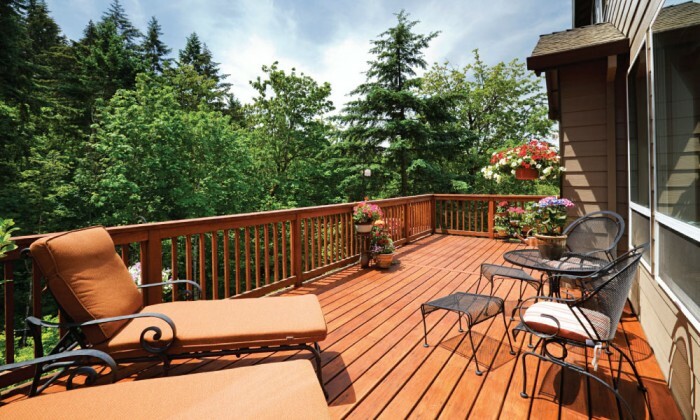 However, a finished deck will be two-to-three times more expensive than one made with pressure-treated wood and it requires a skilled person to install it. “Today people would require it because they’re looking for the miters to be tight. These decks are almost like a piece of furniture,” Araco said. For DIYers, it is not a matter of just banging in nails. New regulations are also a factor when creating the base footings. The old standard was once simply that a wood post would be sunk with concrete poured around it. It created a solid base, but the lumber would eventually rot away and collapse. Now, a concrete footing, generally three-feet long and 24-inches wide, is sunk and posts sit on top of metal plates on the concrete and are held by J-bolts. 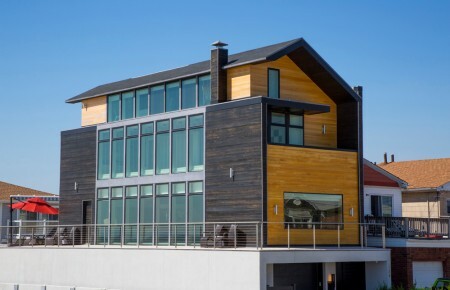 The innovation not only adds value to a new deck, but also additional real estate outside for entertaining or relaxing in almost any weather.